New Delhi (AFP) - He already has millions of Twitter followers and has spoken of the wonders of new technology. 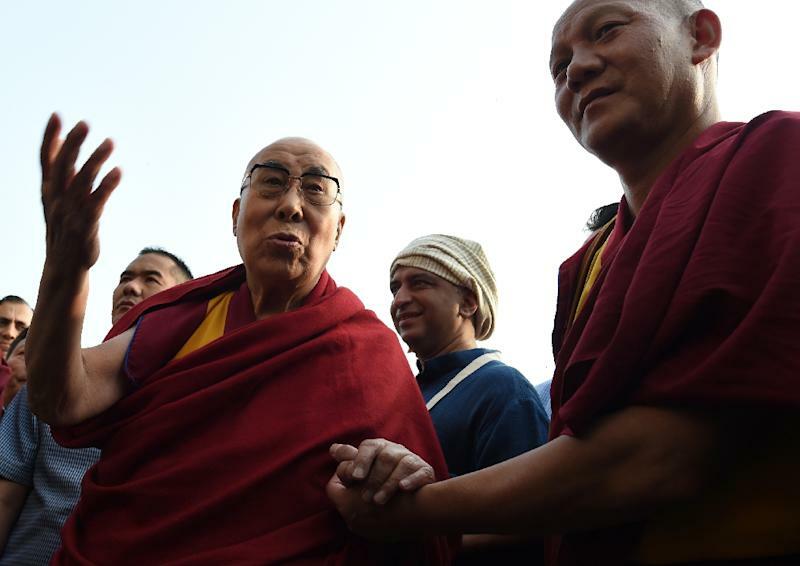 Now the Dalai Lama has launched a new iPhone app so devotees can keep track of his travels and teachings. The 82-year-old Buddhist monk announced the new app, which will allow users to watch live video of his teachings, to his 16.6 million Twitter followers on Thursday. It promises official news, videos and photos from the office of the Tibetan spiritual leader. However it does not appear on Apple's China app store, meaning most Tibetans will not be able to access it. The technology giant has previously blocked iPhone applications related to the Dalai Lama and other exiles from its China store. The Buddhist leader has embraced modern technologies in the past, although it is not known whether he himself uses a smartphone. In 2014 he said new technologies had made a lot of things easier, but warned against allowing phones and computers to dictate how we live. "Without technology, humanity has no future, but we have to be careful that we don't become so mechanised that we lose our human feelings," he said.